How do you define beauty? When I was a little girl, I used to think beauty was princess dresses, high heels, curls, and make up. But now, I think of beauty as determination and pushing through to the next level. I remember when I thought a 5k was a long distance and 10k's scared me. Then I tried out my first half marathon, and now I'll be running my 3rd marathon on Sunday. To me, pushing past those limits, is simply beautiful. It's what I want my kids to see. I want them to see me as a mom who loves them and enjoys spending time with them, and one who is also going to strive for her own goals and continue to push past my own comfort levels. I want them to push past their comfort levels as well. Even in my professional life as a teacher - I WILL is an everyday slogan I use. I'm honored to join Under Armour's campaign What's Beautiful designed to challenge and celebrate women. This campaign is a perfect fit for me, as I have found that I thrive of challenging myself. 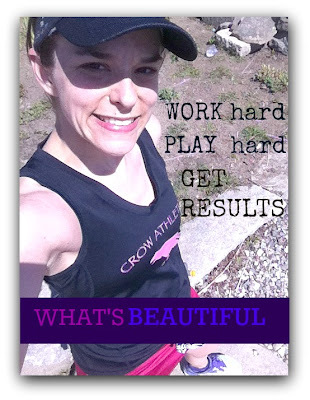 The What's Beautiful campaign is an 8 week campaign and we're in week 2. You have plenty of time to declare to the world what your goals are! the playground or around my house - while building strength. When all is said and done - I'm going to see some results. I challenge YOU to join the Under Armour What's Beautiful campaign. And after you've gone and created your own profile, declared your goal - I urge you to join a team or teams. This is a way to cheer each other on during this campaign and to receive some motivating from your teammates! There are weekly prizes as well as the chance for 3 epic women to win a trip to the Under Armour Retreat! There are a number of teams in the What's Beautiful campaign to choose from. There are teams focusing on weight lifting, yoga, running PR's, or trying new distances. My team is WORK HARD, PLAY HARD, GET RESULTS. If you would like to join the team, please join now! Great post. 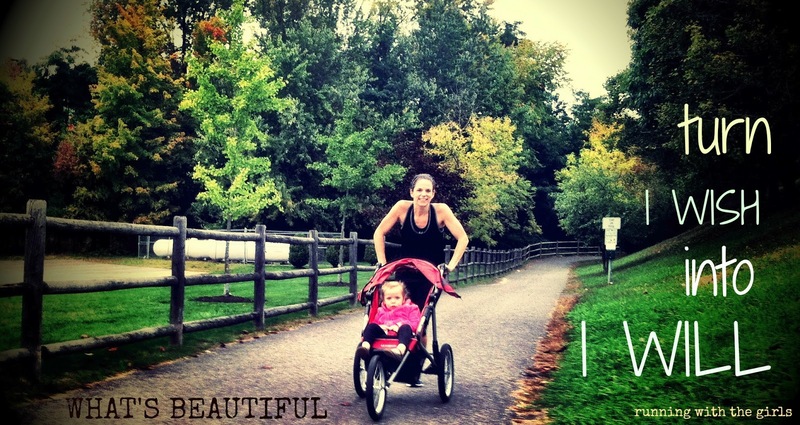 I am loving reading everyone's what's beautiful posts. So inpiring. 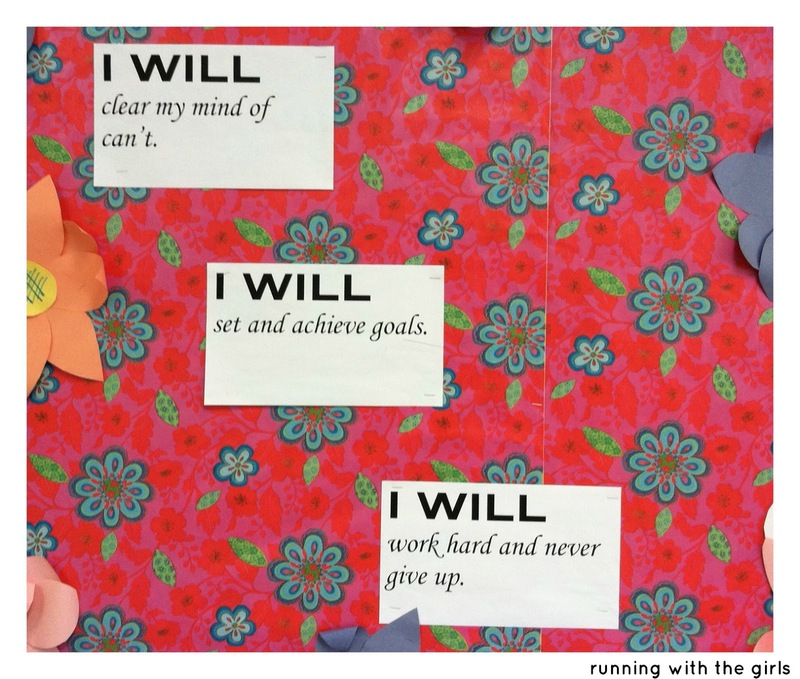 I love your goals and that you already use the "I WIll" in your classroom. You WILL crush that 4:00 marathon goal for sure! I'm excited for your #3 this Sunday and can't wait to read all about it. I just reached a big running goal but in general (w/ running), my goal is to be able to keep running forever. I want to be that 70+ year old woman who shows up at races and wins her age group!!!! 4hr marathon = amazing. First Ultra = badass. And first obstacle race = so fun! !